A newly-minted top honcho in January 2008, Brad Smith was at the cusp of an extraordinary journey as the Chairman and CEO of Intuit Inc.—maker of QuickBooks and TurboTax. 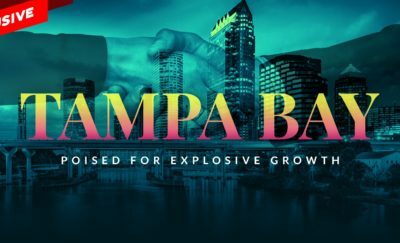 Inheriting the post from founder Scott Cook, Smith found himself with a successful financial software company resting on his shoulders. 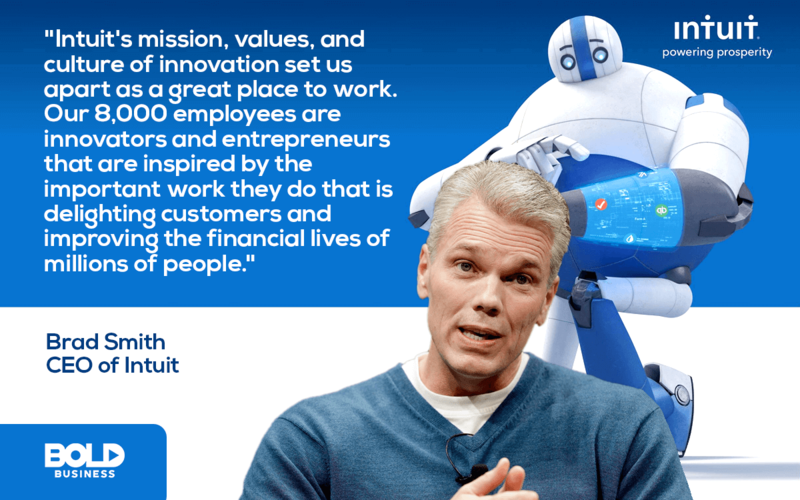 Thus, armed with the goal of reinventing Intuit, Smith began his six-month transition period asking the board members, shareholders and employees crucial questions. The answers helped him gain valuable insights—which, in turn, set the tone of his tenure for the next 11 years and ultimately the course of the company. But, that is just the beginning of the story of Brad Smith and his approach to Bold leadership. In beginning his journey as the company’s CEO, writing the next chapters of Intuit meant two things—first, reimagine the company’s innovation process, innovate fast, and match the needs of the changing times and trends; second, encouraging design-driven thinking and change technology by bringing in new talents. Through Smith’s leadership, Intuit has ranked No. 13 in the prestigious list of “Fortune 100 Best Companies to Work For® 2018”. Soon, the company’s revenue has doubled to almost $6 billion annually, and stocks have increased to nearly 600 percent. One event that left an indelible mark on Smith—imparting lessons on teamwork and resilience—was the crash of the chartered jet carrying the Marshall University football team members. Furthermore, Smith attributes qualities such as discipline and leadership traits from his martial arts training during his high school years. 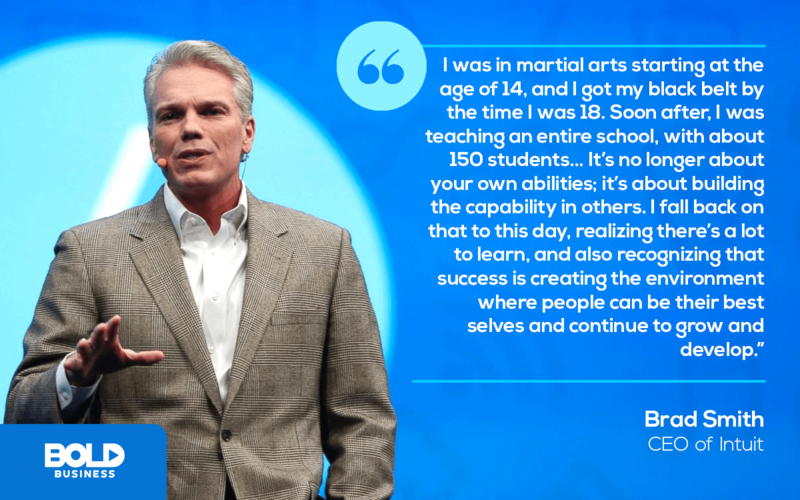 Brad Smith, CEO of Intuit Inc.
After high school, Smith attended The United States Military Academy—also known as West Point. He decided to pull out of the academy after a semester and proceeded to continue his education at Marshall University. Brad Smith’s humble but solid foundation has helped his quick ascent up the corporate ladder. He moved from PepsiCo to ADVO Inc., then to ADP, and finally to Intuit in 2003. He initially managed the Accountant Central & Developer Network Division, leading to his meteoric rise in just five years as Intuit’s CEO—which ended up with him leading a company of 8,000 employees across different countries. The annual Employee’s Choice Award for 2018 conducted by Glassdoor, ranks Brad Smith as No. 22 out of the Top 100 CEOs and No. 11 among Tech CEOs. With an approval rating of 96 percent, Smith is definitely doing something remarkable. Here’s a closer look at Brad Smith’s bold leadership. Taking the helm as CEO in 2008, Smith recognized the need for Intuit to reinvent itself. 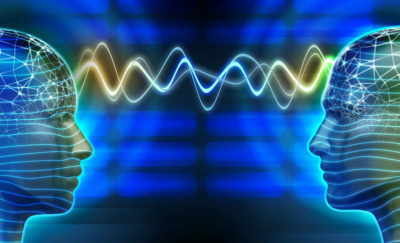 The tech ground was going through tremendous change; the iPhone was launched; the social media phenomenon was spreading like wildfire, and the world was becoming more interconnected. Thus, from being a desktop-based platform, Intuit moved to be a mobile-and-globally-connected services provider. Additionally, looking at the innovation process of the company then, Smith discovered that Intuit was optimizing for features and ease. Thus, challenging this culture, Smith introduced a design-driven innovation process that was meant to create an impact on the consumer and weave emotion into the product. An example of this was when Intuit hired editors to review and revise the texts and copy of the interface of all their products and software. This step added a more personal, light and whimsical touch to otherwise dull and boring financial software products. Within 100 days from his appointment as CEO, Smith adapted and implemented unstructured time—wherein 10 percent of the employee’s time can be spent on any project they want that they think can solve a customer’s problem. Through this exercise, Intuit was able to raise an additional $100 million in revenue from products borne from unstructured time. Through experimentation, Intuit was able to find a way to convert photos taken by the phone’s camera and translate this information to pre-fill tax forms, making tax filing faster and easier for their customers. This feature has been one of the growth drivers for TurboTax. Despite his success as a rock star CEO, Brad Smith remains grounded and humble. He follows leaders in Silicon Valley to learn best practices and do benchmarking. Likewise, Smith regularly touches base with Scott Cook—his predecessor and Intuit founder—to seek feedback and advice in leading the company. He also doesn’t shy away from criticism. 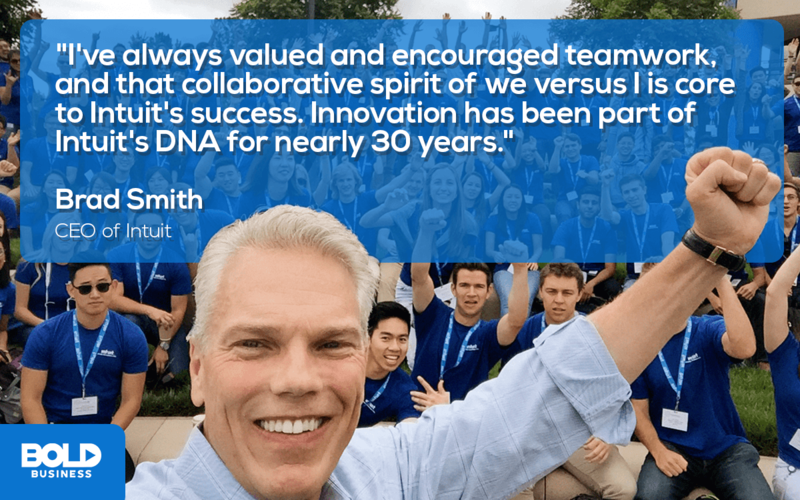 Smith seeks and accepts them wholeheartedly and even shares his unedited performance review from the board to all of Intuit’s 8,000 employees. Brad Smith has indeed made a bold impact as CEO in Intuit. Furthermore, as a leader, Smith creates a horizon management plan, by allotting 70 percent of resources strengthening products that are already thriving, 20 percent towards young products that need to be developed, and 10 percent of the time to experiment, innovate and discover new products. After Intuit—So what’s next for Brad Smith? After an impressive 11-year run, Brad Smith will be turning over the leadership of $54 billion Intuit to Executive Vice President Sasan Goodarzi by January 1, 2019. The announcement caught Silicon Valley by surprise—since Smith is just 54 years old, and Intuit is doing extremely well. When asked what is next for Brad Smith, his response was a safe reference to his new role as the executive chairman in Intuit. Additionally, he mentions his board duties at Nordstrom and Survey Monkey. His passion for improving public education in peripheral zip codes will also grab more of his time now. This bold leader points out, “I never wanted to be that athlete who loses half a step or can’t complete the pass. I wanted to step down when I was still in my learning zone and still had gas in the tank.” In truth, with his track record, Brad Smith is sure to find new frontiers to overcome.